everyone is a publisher, further eroding whatever influence and credibility the so-called "mainstream" media (traditional gatekeepers like network and cable television, local TV, newspapers etc) has enjoyed over the years. Increasingly, bloggers and activists who are savvy in social media and new distribution methods are the ones holding the influence in today's elections. It's up to us, the voters, to sift through the tsunami of lies and half truths that often pass as "news" these days. * ... SALVAGGIO: A good example of this trend is former city councilman Mark Salvaggio, who occasionally takes to the internet to share his political views. His latest: a stinging criticism of mayoral candidate Karen Goh whom he describes as deceptive and calculating. Said Salvaggio: "What do Emilio Huerta, Vince Fong, Tiffany Organ-Bowles, Cory Woodward, Kay Meek, Kyle Carter, and all other local candidates with ballot statements have in common? They are all, unlike Karen Goh, being open or transparent with the people they want to vote for them. Goh is the only one who does not list her age. She is 60 years old. Why the secrecy over your age Karen?" He goes on: "Karen Goh will not openly talk with the press; she insists on any questions from the media be e-mailed to her first so she can have time to huddle with her campaign consultant, Mark Abernathy, to develop e-mail responses." * ... SPOTTED ON TWITTER: "If you ever get caught sleeping on the job… slowly raise your head and say 'in Jesus' name, amen.'" * ... SILVER FOX: More great news on the restaurant front: I was thrilled to read in The Californian that Rod and Julie Crawford, owners of Pyrenees Cafe, are buying the old Silver Fox lounge and will try to bring it back to is former glory. 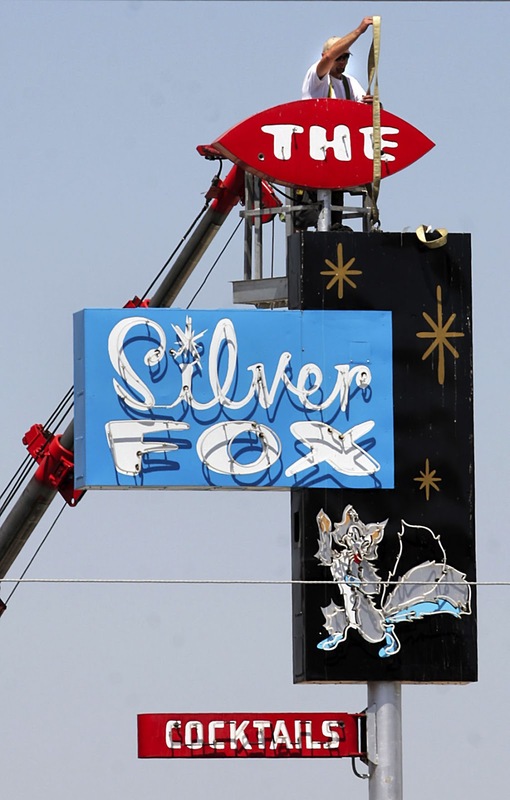 The Crawfords' track record at Pyrenees is nothing short of remarkable, and I have little doubt that their new eatery, to be called Silver Fox Starlite Lounge, will become one of the "it" places downtown. * ... MARATHON: The inaugural Bakersfield Marathon is set for next week (Sunday, November 13) and while it should be a good show for spectators, but be advised streets will be closed throughout town. It will start at near Cal State Bakersfield in the early morning, head down Stockdale Highway to Oleander, through Westchester, up Chester to Panorama Drive and back down the bike trail. People along the route are already talking Bloody Mary parties to cheer the nearly 2,000 runners when they pass. If you have questions about road closures, call (661) 249-6450 or email directors@activebakersfield.org. * ... BAKERSFIELDISM: You may be a Bakersfield old timer if you remember the name of the pitcher for the Bakersfield minor league baseball team who got married at home plate at Sam Lynn Park. He later pitched for the Cleveland Indians. The pitcher: Don Mossi.